Fabulous Figures to Fulfill Your Fantasies! from very realistic farm animals to marvelous fantasy creatures like elves and the Pegasus to superhero characters such as Spider-Man, Iron Man, Black Panther, Black Widow, Captain America, Deadpool, Doctor Strange, The Hulk, and Thor, as well as other licensed figures and products from the universes of Peanuts, The Smurfs, DC Comics, and Marvel… including playsets and classic dioramas. Then there are the fascinating themed "play worlds" the company has created for a collection of unique figures of its own design. There are so many possibilities, but they all add up to long-lasting fun for children and adults alike, and you'll find them at Entertainment Earth! 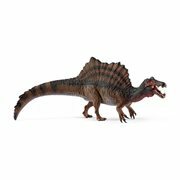 Founded in 1935, Schleich is one of the largest toy manufacturers in Germany. 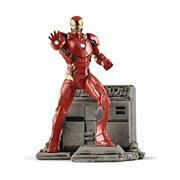 The company's portfolio caters to all ages, and its incredibly detailed, authentic, hand-painted PVC figures range from very realistic farm animals to marvelous fantasy creatures like elves and the Pegasus to superhero characters such as Spider-Man, Iron Man, Black Panther, Black Widow, Captain America, Deadpool, Doctor Strange, The Hulk, and Thor, as well as other licensed figures and products from the universes of Peanuts, The Smurfs, DC Comics, and Marvel… including playsets and classic dioramas. Then there are the fascinating themed "play worlds" the company has created for a collection of unique figures of its own design. There are so many possibilities, but they all add up to long-lasting fun for children and adults alike, and you'll find them at Entertainment Earth! 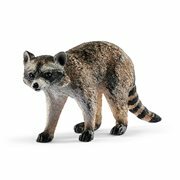 Schleich is on a mission to bring children of all ages an understanding of our furry and feathered friends and their natural habitats. Through the company's exceptional figures, one can gain valuable knowledge regarding the world around us and learn about nature in a playful manner. For example, there are glorious toy horses, and you might even find that stable you seek to house them in. But let's not forget the beasts of old. 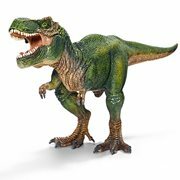 Check out the wide range of dinosaurs, including the Triceratops, flying Pteranodon, Brachiosaurus, and ever-popular T-Rex, each offering incredible detail and some boasting movable jaws or arms! All this has resulted in the creation of a variety of themed play worlds with hundreds of lovingly designed and high-quality individual figures especially designed to appeal to children in their different stages of development. 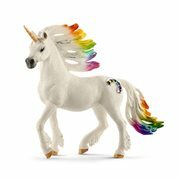 For instance, be on the lookout for the Bayala fantasy line that's chock full of magical Pegasus, elf, mermaid, fairy, and unicorn collectibles. Certain figures in this series come with movable parts, interchangeable accessories, and/or magnets to secure the figures to each other! More Magic from More Worlds! There are other amazing worlds you'll want to investigate and navigate as well. Featuring unusual elemental creatures, the company's popular Eldrador line brings you distinctive can't-miss figures from the red-hot Lava World and the freezing Ice World, including a terrifying fire lion, a fearsome hellhound, an imposing ice monster, a chilling ice spider, a snarling snow wolf, and fierce and ferocious dragons to guard your desk or castle. In addition, there's a startling stone monster, a crystal-powered cave bear, and a super-strong skeleton from the Stone World, plus from the Water World, a creepy killer kraken, a magnificent monster fish, and a sensational sea monster. Many of these come with movable parts like arms or jaws and/or interchangeable weapons. 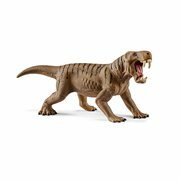 Make Entertainment Earth your Schleich headquarters and explore a whole new universe of playable, collectible figures and accessories!